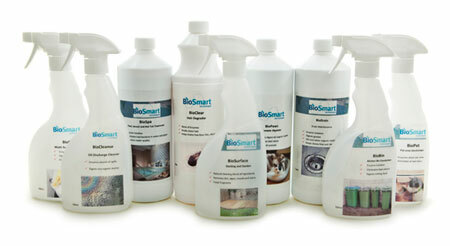 Environmentally friendly cleaning products that use bacteria and enzymes to reduce water use without chemicals. Our range of biological solutions are designed to harness nature’s powers to provide environmentally safe products for all types of cleaning and organic degradation applications. All of our products contain good bacteria, which are living organisms and are chosen for their ability to carry out specific functions, including the degradation of unwanted microbes, which cause malodours. Whist chemicals may not always be fatal, they are all having a profound effect on each and every one of us. We are involuntary exposed to chemicals, as they can be found everywhere. It is hard to believe that the home should now be regarded as a toxic waste dump, as the average home today contains more than 62 toxic chemicals and it is for this reason that the time is now to change to a safer way of life by using an eco friendly alternative. The use of bacterial solutions is a methodology that simply harnesses nature for the benefit of mankind. We are all facing a serious depletion of our natural resources and whilst at times, rainfall is taken as given, the world faces unprecedented scarcity of this valuable commodity. We now need to step up and face the challenges of society and ensure that the environment and generations to come are protected. 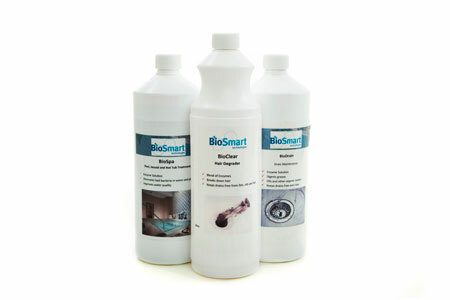 BioSmart Technologies shares a common goal, to provide its customers with highly effective eco-friendly cleaners and degraders, whilst saving you costs and protecting the environment. Unlike other enzyme cleaners, we do not dilute our products, which contain more than 2 million bacteria in just 1 gram.